Cyclops happens to be a huge James Bond fan, I think that Ian Fleming’s series of Bond novels might be the only thing other than comics that he reads. Suffice it to say we were definitely seeing the latest incarnation of Bond on screen, Skyfall, opening weekend. One of the best things (admittedly sometimes one of the worst things) about dating a nerd is that when they are super in to something, everything revolving around it turns into an event. For the release of Skyfall, we had a “James Bond” weekend, which involved dressing up very classy outfits, watching Casino Royale and Quantum of Solace and sipping on a myriad of martinis. Booze and Daniel Craig in a suit, sounds like a perfect weekend to me! I figured instead of writing a review on Skyfall, which I very much enjoyed and am assuming you are all going to see whether or not I endorse it, that I decided to share with you my favorite martini recipes from our Bond weekend. For our first martini I will lead from a fun fact from Cyclops, James Bond (or Ian Fleming) invented his very own martini, called a Vesper. Here’s the excerpt from Casino Royale when he lays it down. P.S. – I noticed that in all three Daniel Craig Bond movies, he never finishes an entire Vesper…curious. Now for my favorite martini of the night, a Bikini Martini. I admit it’s probably the girliest martini you can make, but it was delicious. Combine rum, vodka and pineapple juice in a drink shaker. Shake firmly until frothy. Pour in a martini glass, add a touch of grenadine in the middle. Garnish with an orange wheel. So if you haven’t seen Skyfall yet, mix yourself up a drink or two and go watch Daniel Craig in all his glory. 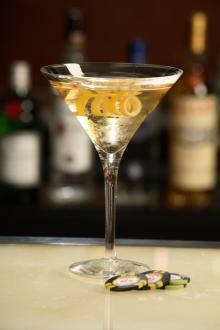 I will just leave you with the soulful sounds of Adele while you are hopefully sipping on a Vesper. Will Han Solo Live Again?